The hard rocking Pro Series Monarkh SCQ is our stylish single-cut model featuring a mahogany body with an exquisite arched quilt maple top. 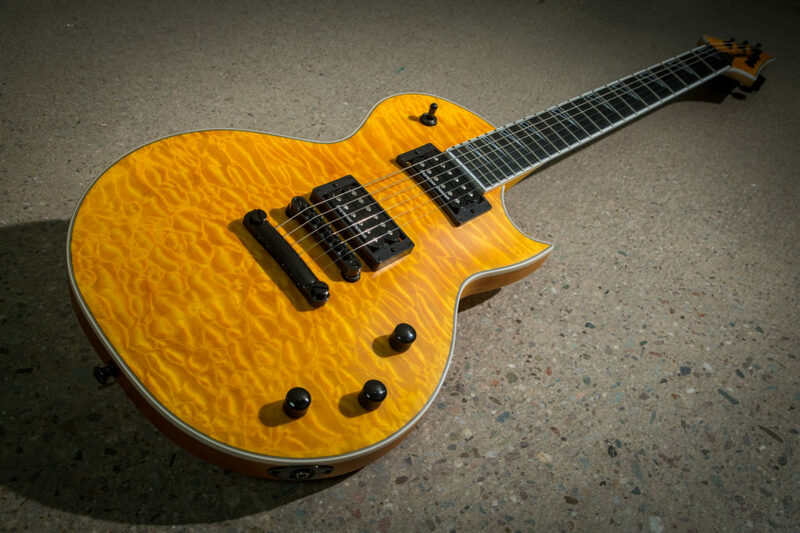 This year brought a brand-new color addition with the eye-catching Satin Amber finish, a golden veneer that shines bright thanks to a three-ply body, neck and headstock binding and black hardware. Looking for something a little more out of this world? 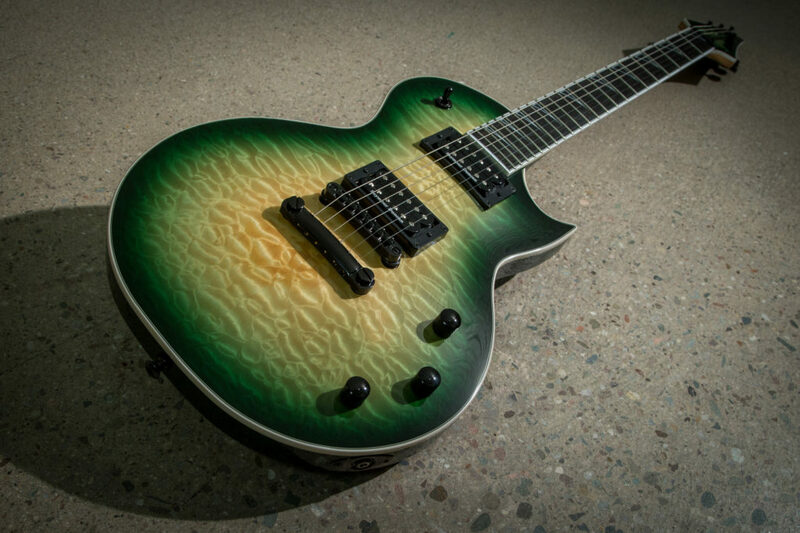 The Pro Series Monarkh SCQ also comes in a wild Alien Burst colorway that paints its arched quilt maple top in an otherworldly green gradient. The guitars 12”-16” compound radius ebony fingerboard and pearloid ghostfin inlays merge flawlessly into the beautiful Jackson 3×3 AT-1 matching headstock, creating an incredibly complete product. If you want something that looks as fast as it plays, then the new Ferrari Red finish found on our incredible Pro Series King V™ KV model is the perfect fit. 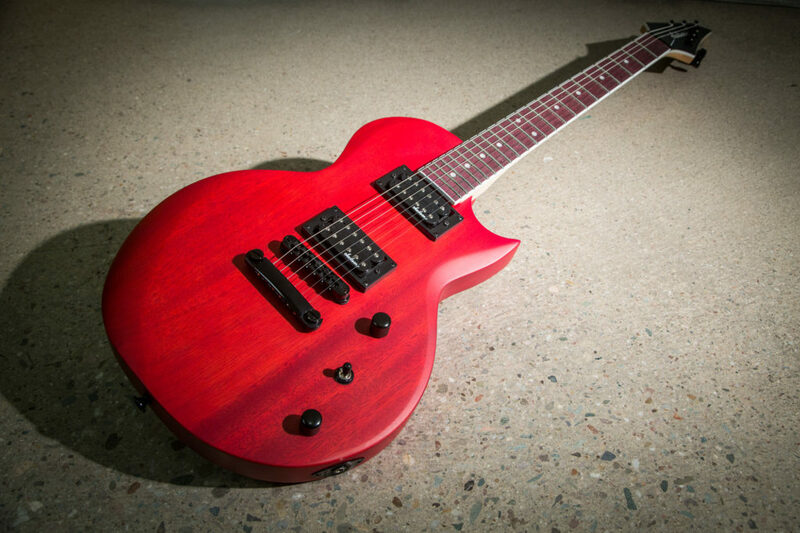 Built for speed, the mahogany body rocks a pair of Seymour Duncan™ humbucking pickups and a recessed Floyd Rose® tremolo bridge that will help you shred in any situation. The one-piece through-body maple neck is topped with an ebony fingerboard, 24 jumbo frets, and alumiloid sharkfin inlays for an overall sleek effect. 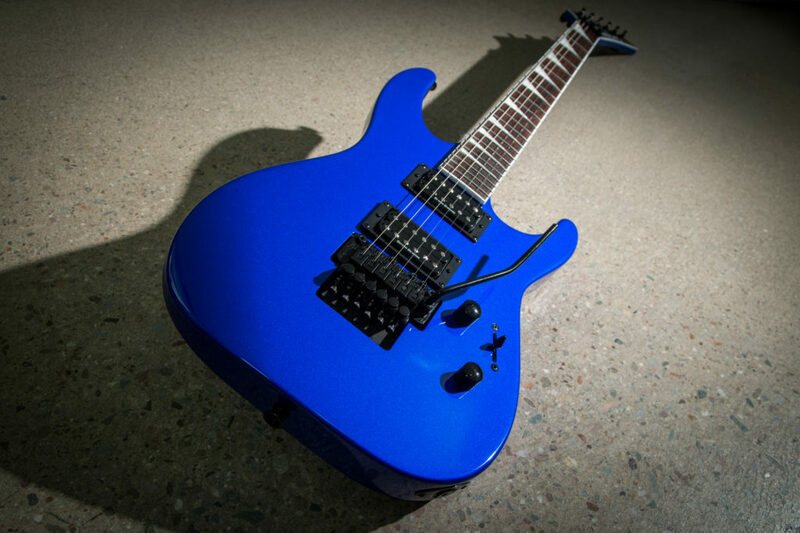 The X Series Soloist™ SLX’s latest spray is an in-your-face color we like to call Lighting Blue. The louder than thunder finish is complemented by a rosewood fingerboard, black Jackson pointed 6-in-line headstock with white binding and black hardware. With an atypical H/S/S configuration featuring Duncan Designed™ pickups, the X Series Soloist™ SL3X gives you a ton of tone in an incredibly affordable package. 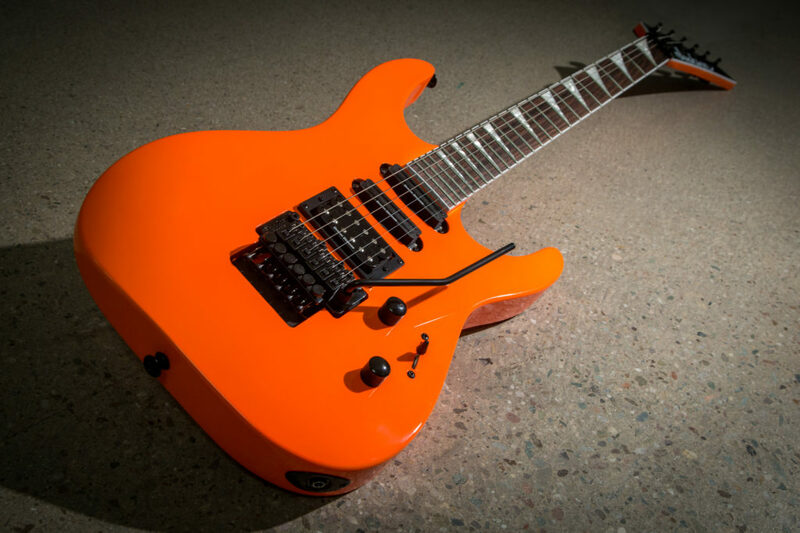 This excellent axe is made even better by the bold, new Neon Orange finish that covers its basswood body. With the addition of a recessed Floyd Rose® Special tremolo bridge system, you have a streamlined machine designed to unleash your musical beast. 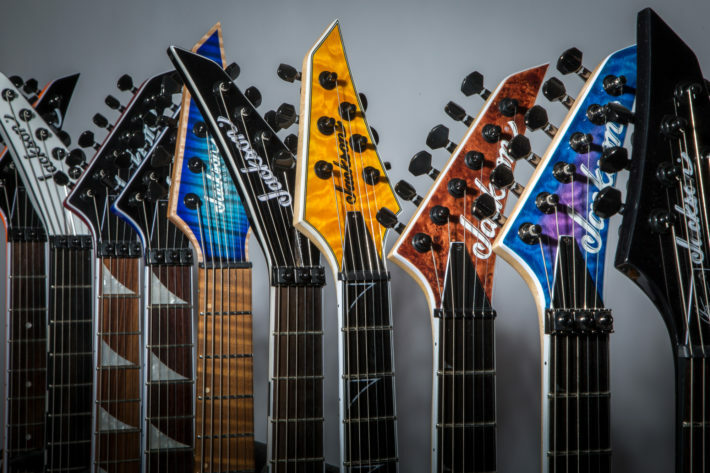 Our JS Series guitars have taken an epic leap forward incorporating striking aesthetics with dialed hardware. The JS Series Monarkh SC JS22Q takes that notion one step further by adding a quilt maple top to an already superb guitar. 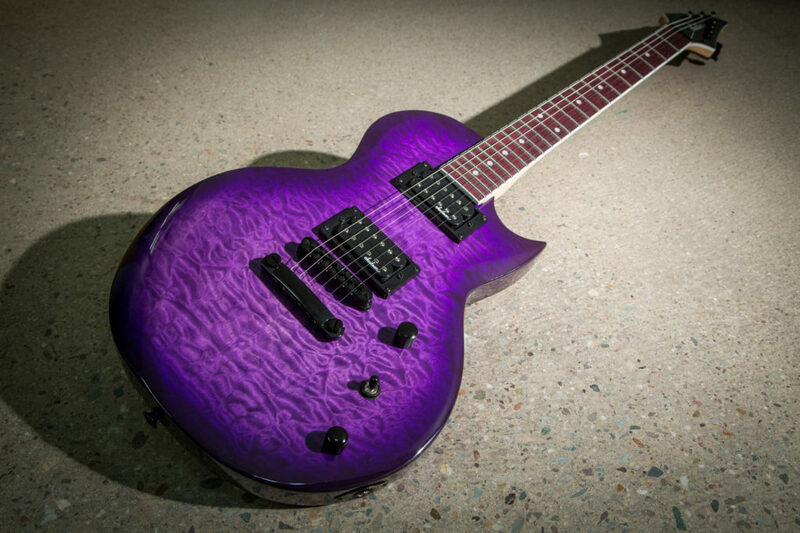 The new Transparent Purple Burst finish rounds out the offering and creates an impeccable combination that is great for beginner guitarists or those on a tight budget. 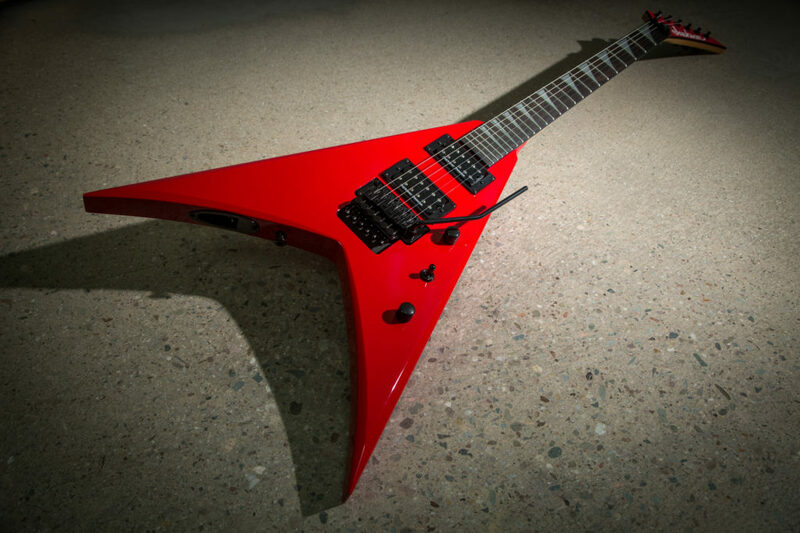 Also available is the JS Series Monarkh SC JS22 in a killer, new Red Stain finish. With its bloodlike appearance, the crimson dye job accentuates the nato wood found below. Dual Jackson high-output humbucking pickups and a Jackson radius compensated TOM-style bridge will keep you rocking until your hands bleed.